“Having achieved the goal of making HealthCare.gov a stable and reliable platform for people seeking coverage, Optum will not rebid to continue the role of senior adviser,” Matt Stearns, a company spokesman, said in a Wall Street Journal article last week. Optum’s contract expires in July. It was one of 33 contractors working on the $800 million website before it launched in October 2013. In that role, Optum set up the Data Services Hub, which handles band-end queries of federal databases, and the tool for handling initial sign-in data, according to a ModernHealthcare article. 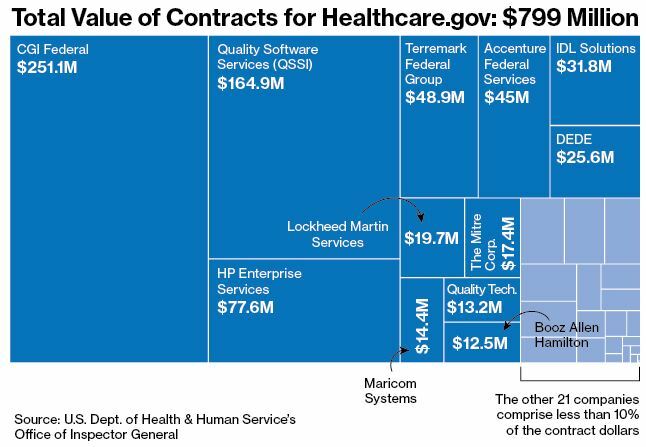 Four years after President Obama vowed to “dramatically reform the way we do business on contracts,” the spectacular failure of the HealthCare.gov website has renewed calls for changes in how the government hires and manages private technology companies.